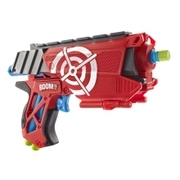 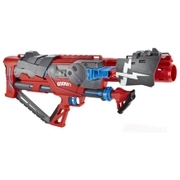 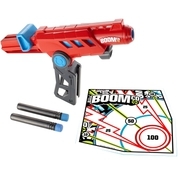 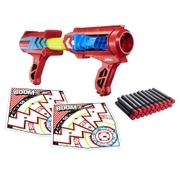 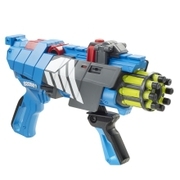 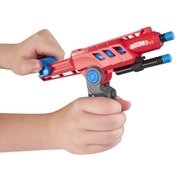 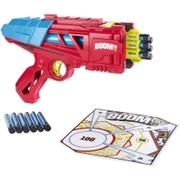 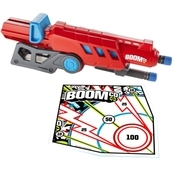 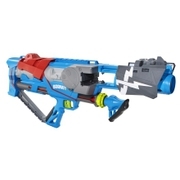 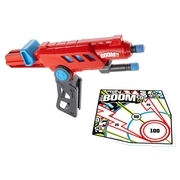 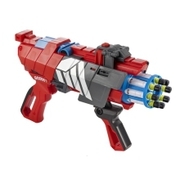 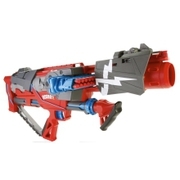 BOOMco.™ Railstinger™ BlasterDart Toys & Blasters - Awesome Blasting Gear & Toys for Boys - BOOMco. 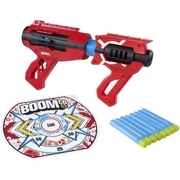 Double your blasting action with the Railstinger™ Blaster, with two awesome ways to play: single-fire shooting for long-range accuracy, or attached to another BOOMco.™ blaster with a rail to double the firepower! 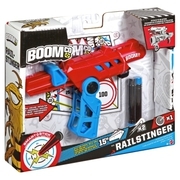 The Railstinger™ blaster fires a single Smart Stick™ dart up to 50 thrilling feet! Just pull back the spring on top to load, then release to fire! Or, fold up the collapsible handle, attach it to another BOOMco.™ blaster with a rail and expand your blasting action! 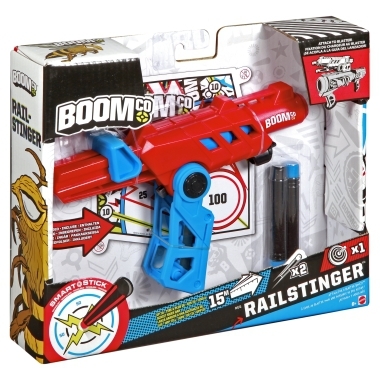 The Railstinger™ Blaster comes with 3 Smart Stick™ darts and a Smart Stick™ sticky backed target. 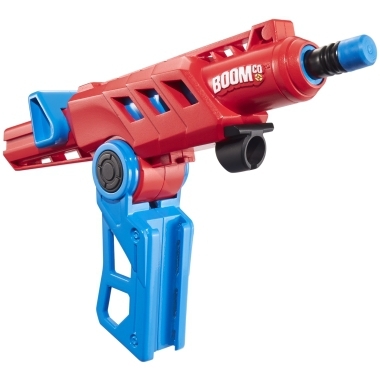 May damage surfaces on walls or furniture.